Everyone says Instagram is such an exciting channel, but why? You can create amazing images, share tidbits from your business, and make things more personal. It is an awesome way to engage and connect with your client base. For my own business, I just very recently launched our very own company Instagram account. I have since been shocked in just a week or two at the kind of traffic it’s been bringing us. I really think businesses are missing out if they’re not on this viable social channel. If you aren’t yet and want to know just why we and many other small and large brands are using this channel, don’t worry — I am going to give you an in-depth look at Instagram, helping you create an amazing presence that will give you that perfect competitive edge. Then we’ll look at some tips to help you optimize your presence there. One of the biggest questions I’ve seen time and again is, “why should my business be on Instagram?” To many business owners, this seems like a channel that isn’t going to provide much help especially since all they see is photos of cats, Starbucks lattes, and food. First of all, Instagram is much more than those items listed (though those images are a big part of it). 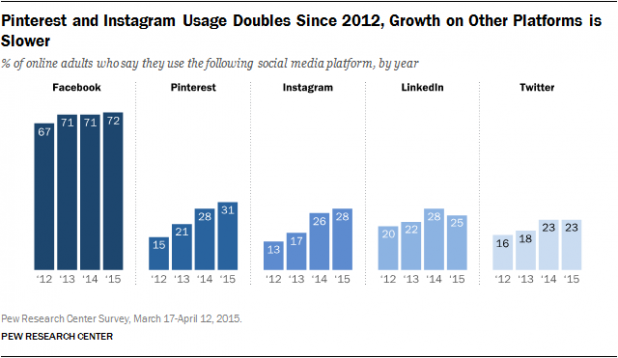 Secondly, Instagram is on the rise for businesses over other channels. Pew Research points out that both Instagram and Pinterest are on the rise while the other channels such as Facebook or Twitter are declining. This means it is imperative for your brand to get on the channel. As you can see, you really need to get on this channel as soon as possible. I am going to look at how you can get started plus offer some excellent tips to help you have a powerful Instagram strategy. If you are new to the Instagram game, never fear; there are plenty of guides out there that can help you set up your own account. Brittany Helmrich from Business News Daily has an excellent guide that not only helps you learn how to set up your account but also how to navigate the channel. Setting it all up is grand, but what do you do once you’ve created your account? Or, if you already have one, how do you use it to its fullest potential? When it comes to Instagram, there are several excellent tips that you can follow. Here are some that can help you create a great strategy, helping you build an amazing Instagram presence. 1. Find Incredible Resources for Quotes and Make Image Quote Pieces. Our sole focus, as you already know, is, well, writing. When I go to make something for our Instagram channel, I know that I have a wealth of things to choose from, including quotes. All I do is head over to Google, type in “quotes on writing,” and I get several excellent resources. From here, I simply head over to Canva, select an image, and add text. When that’s all done, I can then post awesome image quotes for all of our awesome followers. Don’t worry; if you’re looking for a few Canva tips, Chuck Frey over at Content Marketing Institute has you covered. 2. Create an Actionable Hashtag and Build a Great Community Base. People love hashtags, and when it comes to Instagram, a hashtag can help build a community. All you need to do is create an actionable hashtag and start using it, encouraging your users to use it, as well. Make sure it is unique to your business to build the community you want. A great example of an actionable hashtag is from The Infatuation, which is a restaurant review site, helping users find great places to eat. 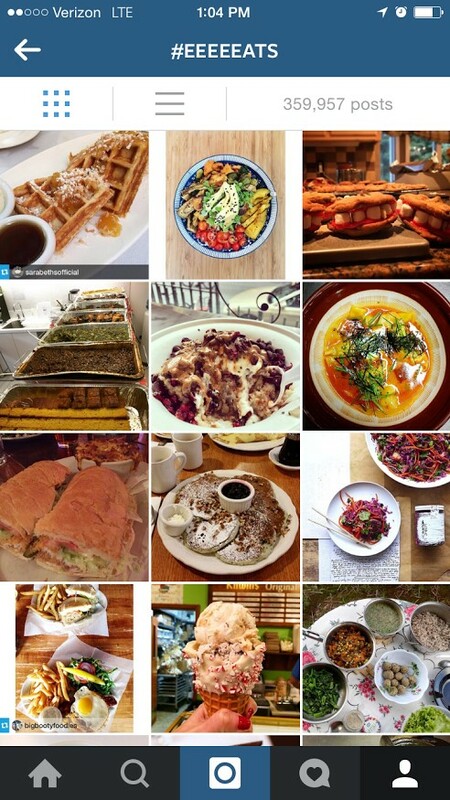 Through this unique hashtag, they’ve been able to build an awesome online community of foodies and images of positively mouthwatering foods. 3. Don’t Be Afraid to Join Up With a Good Cause. Something people love to do is be part of a good cause. Instagram offers you the unique ability to do this and help others in your community to do the same. If you’re looking for great ways your business can partner with a good cause, Jen Turrell from Daily Worth gives a great list of ways. When you partner with one, make sure to incorporate it into your Instagram strategy. 4. Get On Your Clients’ Level but Stay Relevant to Your Brand. You want to make sure you can relate to your clients on their level, but you need to make sure you don’t lose your brand in the process. You should already have a brand personality in mind that you want to keep in touch with – keep strongly to that to be consistent. It is absolutely possible to stay relevant to your brand while reaching out to and relating with clients. Margot de Cunha from Wordstream says that you need to learn why exactly your clients are on Instagram. Once you learn this, you can create an awesome strategy to reach out to them. 5. Learn How to Best Use Hashtags for Your Instagram Account. Earlier I mentioned that you needed to create an actionable hashtag. But how else can you use hashtags on Instagram? There are several different ways that can help you increase exposure, bring in new clients and engage with existing ones. Make sure you use hashtags well to create the best impact for your marketing. 6. Create and Build Trust With Your Followers. When it comes to having a powerful Instagram presence, you need to make sure you build trust with followers. You can easily do this by building up your brand on Instagram, and engaging with users. However, once you start growing, you will need to offer people more. Use Instagram to share new things with clients, as well as images of new products, interesting ways to use your products, and more. Over time, people will begin to trust you more and more, seeing you as an expert in your industry. 7. 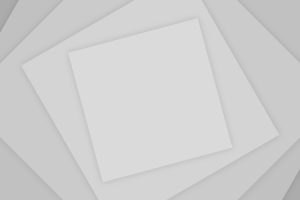 Hold Instagram Only Contests for Your Clients and Followers. Another awesome way to have an amazing presence is to hold Instagram only contests for your clients. This is a great way to engage with your users, encouraging them to share your product and business information with others. It also creates such a fun atmosphere for them. Don’t let the idea of a contest scare you away, though. It is easy to do. Wishpond has a great product that helps businesses with Instagram contests, making sure all are incredibly successful. Just take a look at their tips for setting up your very own Instagram contest! 8. Share Real Photos Taken by a Real Person to Add Authenticity. It can be awfully tempting to share only quote images or product photos that are on your site. However, this will not build trust with your audience. In fact, sharing real photos taken by a real person in the moment is a great way to build trust. Authenticity is a vital part of marketing now, and if customers don’t see a real person sharing current images, they are likely to unfollow. Do something silly like a Flat Stanley version of a product or service, having pictures taken all over the world. Or take and post a fun, cute image of an animal you saw. Do something fun to break up the monotony of selling. 9. Learn How to Take Excellent Photographs With Your Smartphone. It’s fairly obvious that Instagram is all about visuals. However it isn’t just about a random photo, but great quality photos and visuals. If you want to get great traction and engagement on your account, you need to make sure you up your photo-taking game. Smartphones are some of the best point-and-click cameras out there, so use yours to its fullest potential. Tyson Wheatley from Pop Photo gives some great suggestions for getting excellent Instagram images. He points out that you should plan your photos, take several to get the best, and take your photos outside of the Instagram app. You can also find great photo editing apps that will help you add that awesome Instagram touch to each of your images. 10. Choose a Program Like Latergramme to Help You Remember When to Post. With things like Hootsuite and Buffer out there, many businesses focus on scheduling out their posts. This isn’t possible with Instagram yet, but there are ways to help you remember. There are great apps out there that help you craft all of your Instagram content in one sitting and then reminds you when it is time to send it out. One of the top apps for this is Latergramme. It will help you get your content out at the best time, and keep you posting consistently. Hootsuite also has this capability so you can use that if you’re already using it to schedule out your other social media content. 11. Always Remember to Track Your Analytics. Just like with any other social media channel out there, tracking your analytics will help you make the best of your presence. One of the most popular Instagram analytics tracker is something that has been around for quite a while. It was once called Statigr.am but is now known as Iconosquare. Use this to see who your top followers are, the content your clients like, and more. 12. Find Excellent Instagram Tools to Help Make Better Images. Earlier, I mentioned learning how to take better Instagram photos. After you’ve taken the photo you want to share, it is then time to put a filter on it. You can always use Instagram’s select filters, or use photo and video editing apps that will make your posts pop. There are many awesome apps out there that you can use, some free and some that cost. However, let me just say that paying for a photo editing app like Afterlight will be great for your business in the long run. You’ll get so many awesome editing capabilities that will make your images pop. 13. Share and Experiment with Perfect, Short Video Clips. Something that a lot of businesses forget when it comes to Instagram is using the video feature. Yes, it is only 15 seconds, but you can come up with some great, short video content quite easily. You can share videos of products, people using the product, or anything else you can think of. You can do some really awesome things with an Instagram video so don’t neglect this aspect. 14. Tell a Story but Avoid Overselling Your Business. You can also use your Instagram account to tell your audience a story. You can have an awesome story arc that keeps your clients coming back for more. This is a great way to sell your products, but you should do so without overselling. Make people interested enough to look at your product, instead of making them feel like they are facing the 1960s-salesperson. 15. Variety is the Spice of Life, Even On Instagram. It can be easy to get stuck in an Instagram rut, but you need to make sure you add variety to your posts. Split your posts up between story arcs, product images, user-generated content, quote images, and other awesome things to reach a wide audience. If you keep posting the same kind of content over and over, your Instagram presence will become stagnant. There is so much you can do with Instagram, so don’t get stuck in that rut; try out some new things. This channel really is a great way to connect with people and helping you add a personal touch to your brand. You can do so much with it, and you’ll see just how awesome you can make your content, as well as how many people you’re able to reach.